One-on-one coaching and instruction for individuals needing specific language skills- for example, Medical English or Legal Office English or TOEIC Test Prep. Upper-intermediate and advanced students only. 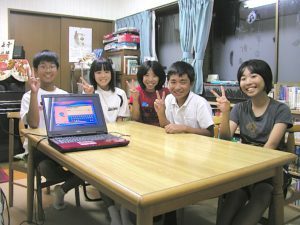 Cost: ¥15,000 per month 4 lesson hours meeting at one of our schools, or ¥5,000 per hour meeting at your home or office. Adults, all levels, four 75 minute lessons, classes up to 6 students. Individuals: ￥8,000 per month, couples:￥14,000 per month. Taught on-site at customer’s place of business. Customized course arrangements negotiated with client (conversational business-TOEIC, etc.) ¥5,000 per lesson hour plus ¥1,000 per student per month. Multi-level group lessons in which students are introduced to the Holy Bible and Christian beliefs at the beginning of each class. Classes meet on Tuesdays from 10:40 am to 12:00; and Thursdays from 1:00 pm to 2:20 and from 2:40 to 4:00 pm. Cost: ¥3,000 per student per month donation to Hachiman Christian Church.